The Malla hotel is a luxurious five star hotel in the heart of Kathmandu city. 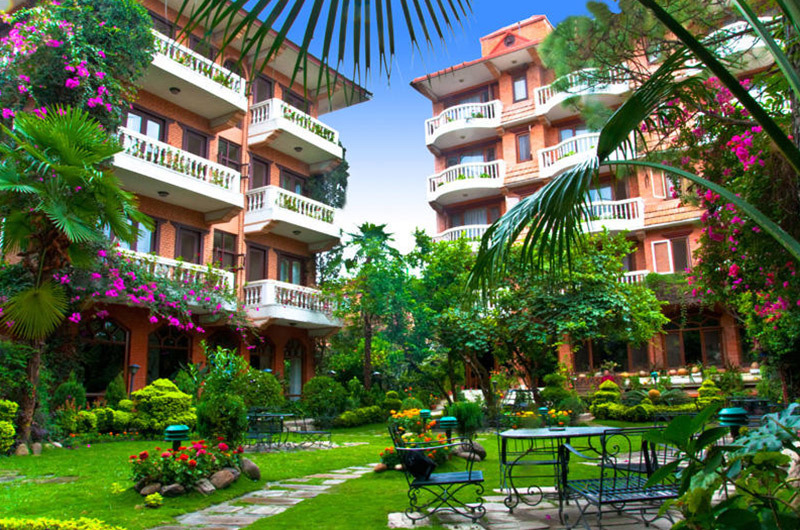 The Malla hotel Kathmandu is set in well maintained gardens, in the heart of the city, between the Royal Palace and Thamel. The hotel provides good amenities and service including a relaxing pool and a well equipped business center. Rooms are pleasantly furnished with comfortable furniture providing great accommodation all having gardened. The Malla hotel is ideal for business or leisure travelers who want a central city, location base. In addition, the hotel’s guests can enjoy the leisure and sports facilities on the premises. Yet, it has combined modern comfort and convenience are seamlessly to ensure the guests’ satisfaction. The other advantages of the Hotel is that it is within the walking distance of all that is best about Kathmandu. Therefore, staffs are always welcoming and go out of their way to ensure comfort. Hotel does not have a effective air condition but due to fans guest can bear the heat of the valley. The Malla Hotel offers 125 freshly refurbished rooms, 50 executive rooms and 20 lavish apartments and suites all with attached bath and shower, air conditioning and heating, International Direct Dial Telephone system, multi Channel color television and mini bar.